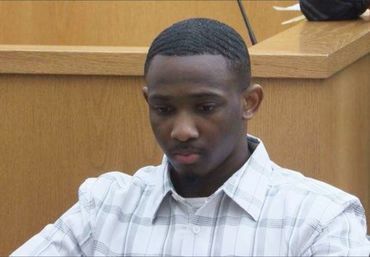 In a two-day trial in March, Lakeith Smith, now 18, of Montgomery was convicted of felony murder, burglary and theft for helping in the 2015 break-ins of two homes in Millbrook, about 10 miles north of Montgomery. He did not kill A'Donte Washington, 16, of Montgomery, who was part of a group of five accused in the thefts. But several in the group, including Washington, fired shots at Millbrook police officers who responded Feb. 23, 2015, to a call of a burglary in progress, according to officer body-camera footage. The officer that Washington ran toward pointing a .38 caliber revolver fired his police-issued sidearm four times, killing Washington. Smith was accused of being criminally responsible for the acts that led to Washington's death, the gist of Alabama's accomplice law. An Elmore County grand jury cleared the officer who fired the fatal shots; the officer's name was not released. I wasn't there, so what can I say? Still, I smell injustice - and racism. The cop who actually shot & killed someone is cleared & the black boy is responsible?!?!?! Only in the U. S. of A.!!!! Utterly crazy, and yes, I suspect racism in in play as well. Unquestionable grave injustice. Thank you, Phyllis, for the posting. Absolute madness, an officer shoots one of the five boys burgling and a then 14-year-old member of that group gets 30 years for his "murder" (which wasn't murder for the police officer who did the actual killing! ), 15 years for the burglary and 20 years for theft consecutively. And the chief assistant district attorney is very pleased with the sentence. He must be if he made that accomplice law stick to Lakeith Smith. If this isn't bigoted justice dealt both by the prosecutor and the judge who accepted the charges, I don't know what is. There's more to this than this article is stating. He should have followed his attorney's advice and taken the 25 years. This is absurd. The kid never fired a shot, and given his reaction to the sentence, he's clearly a few cans short of a six pack. This is what Republicans call justice. Just awful! Terrible injustice for this young man. Thanks Phyllis. The laws in Alabama need to be changed. If not now, when? Racism? My God where is the compassion for the victims that were robbed by punks with guns? Who cares if the thugs were black or white....they were committing a crime! That's whats wrong with society today...their answer to everything is to cry racism! No wonder crime has exploded. People want to give the 'poor black kids' that are COMMITING the crimes either a slap on the wrist or no punishment at all, and allow them to rob & murder again! I bet if they were robbing your family it would be a different story in your eyes! Does the law in Alabama even know the meaning of JUSTICE ???? You should check your facts, and then perhaps reload and re-aim your rage. This boy did not murder anyone. The cops did the killing after being shot at. They were not shot at by this boy. It sounds like this 15-year-old boy had a terrible lawyer; One not caring for justice, only caring for clearing his calendar. It's horrible. Poor kid... I hope that he will helped properly. I was going to say the same....A TERRIBLE LAWYER. Whoa, what a twist! But likely deserves the long sentence.